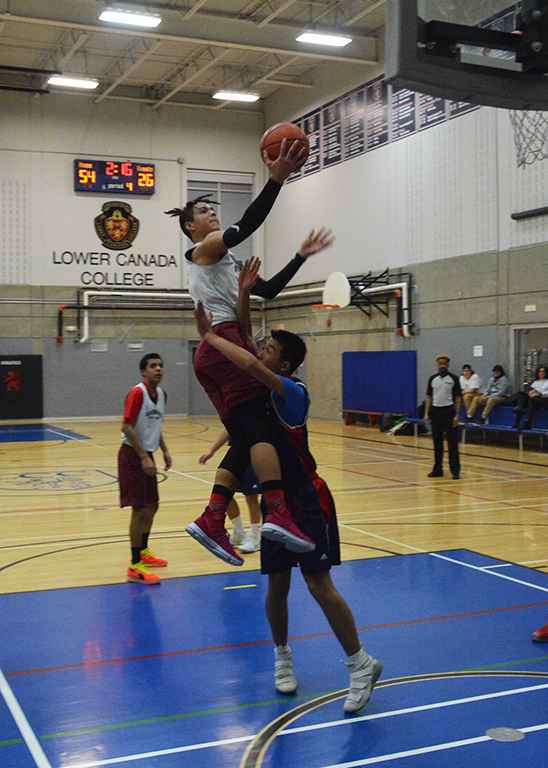 Rust and rims were the twin themes of Kahnawake Survival School’s second to last regular season game Wednesday night at Lower Canada College. KSS jumped to a 16-8 lead after a quarter before going ice cold in the second, ending the half down 30-18. The game didn’t get much better, with LCC running the score up to win by over 30 points, 58-26. “It was kind of a difficult game. No one’s shots were landing. All around it was just bad. We need to play harder next time,” said Survival guard James Scott. The GMAA schedule did not help KSS at all. Before Wednesday, Survival hadn’t played a game since December 13, and had trouble finding gym time to practice with a full court. Basketball scheduling for the GMAA is probably the most tricky of all sports. With the season running from October to February, schools need to work around exams and holidays for multi-cultural schools in the area that close at different times. For Survival, it meant a huge break. That said, the score line could have been much different Wednesday night. Scott, Justin Rice-Douglass and other Survival ballers slashed and got to the hoop with regularity in the second half, but were not able to put the finishing touches on their drives for the points. 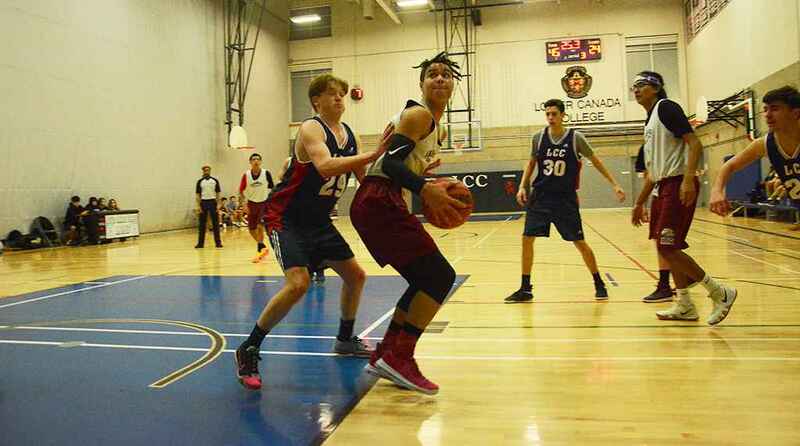 Shooters Kobe Lahache and Kaymen Diabo also had several quality open looks from behind the arc that narrowly missed putting three points on the scoreboard. 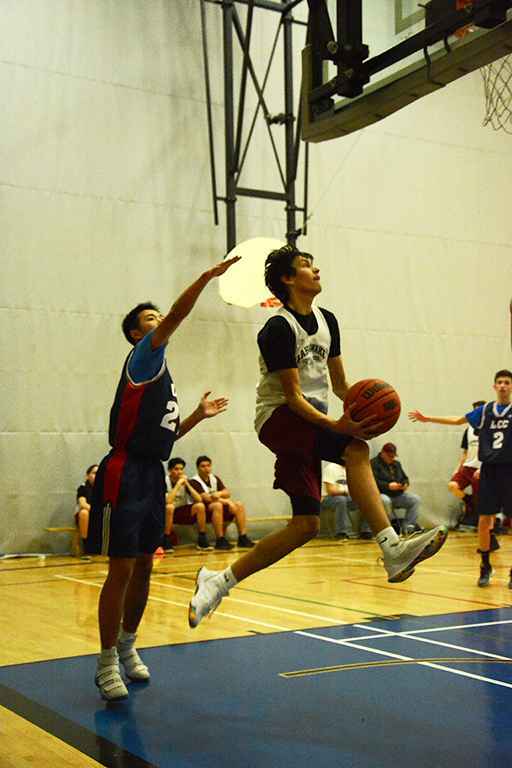 Survival has one last chance to move up in the Juvenile Boys 4 division when they play St. George’s School Thursday away. St. George’s 2-6 record means if Survival can pull off a win, it will move them to 3-7 and potentially nab the third spot on the table. To win, however, Scott and the team must work on two things. “Shot selection and driving,” said Scott. Tip off’s at 4:45 p.m.